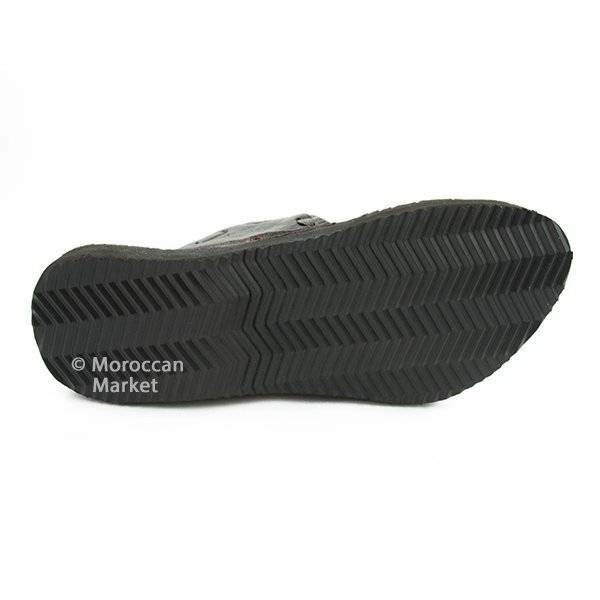 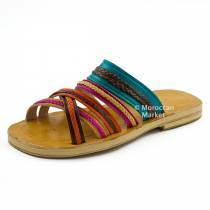 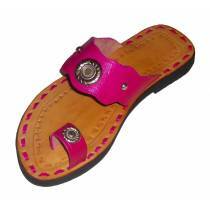 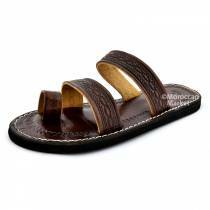 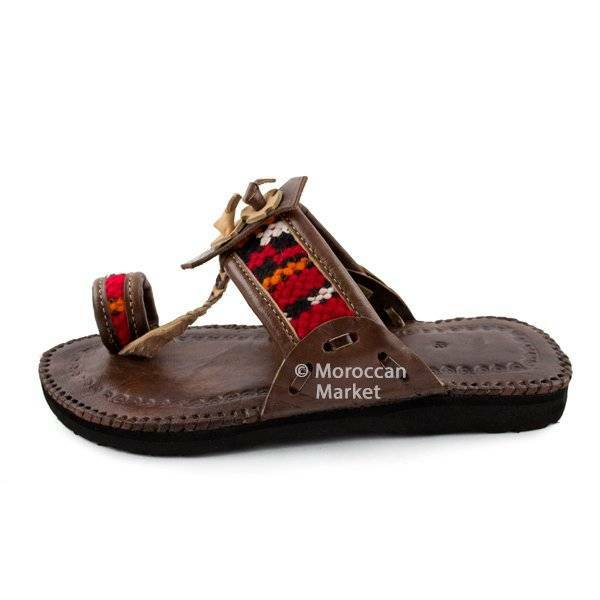 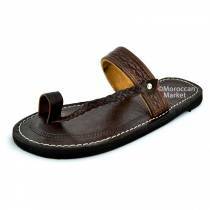 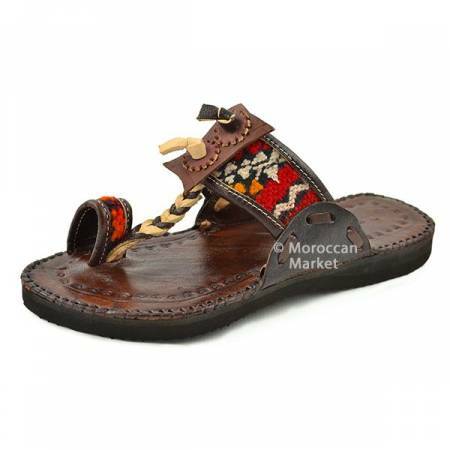 Moroccan leather sandal with a round and open toe for men and women. 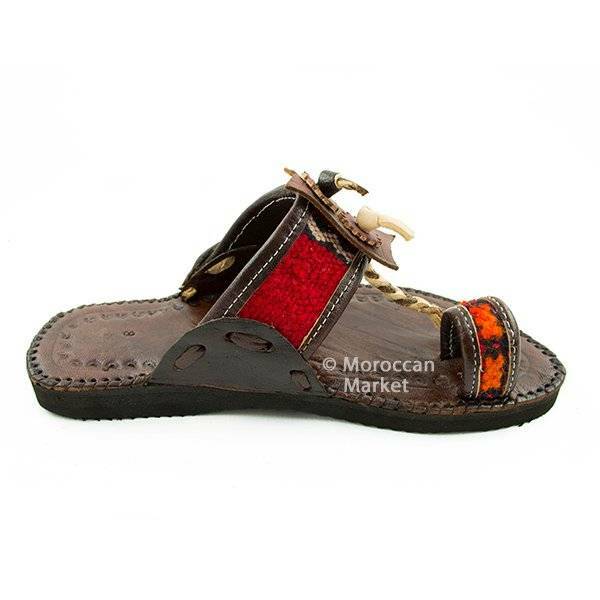 Behind its ethnic and distinguished image thanks to this berber touch with a woven wool as a decorative motif, these sandals are very comfortable. 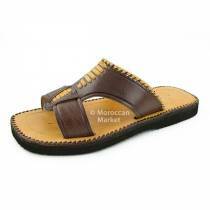 Handmade in a family workshop using a sheep leather with a natural tanning. 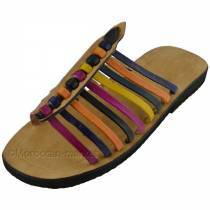 So easy to wear, they go with everything. 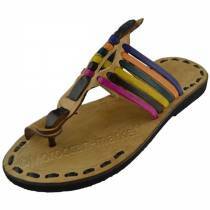 We're sure that you'll love them! 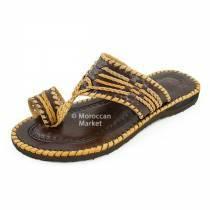 Handmade moroccan sandals with a Berber touch. 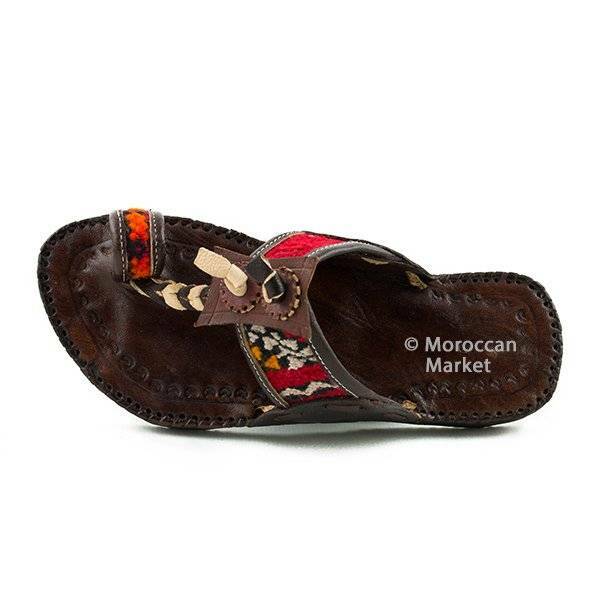 They are handcrafted exclusively for us in a small family workshop in the medina of Marrakech using traditional methods. 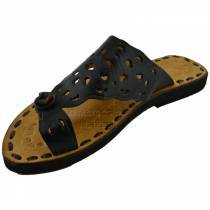 Sandals that combine comfort and relaxed elegance, perfect for all your summer outfits.